Making sure you’re staying hydrated and healthy isn’t always easy. The Aquagevity Healthy Body Start Pak 2.0 helps take care of both your hydration and nutrition. Plus, it includes Aquagevity™ Energy+ tablets to keep you energized while you’re on-the-go! 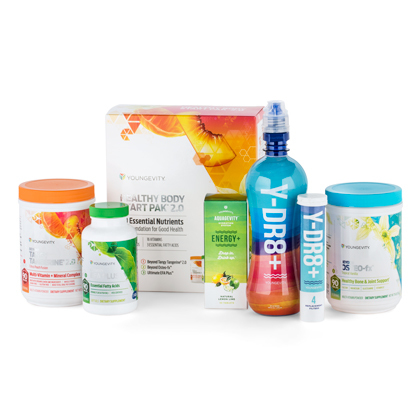 Aquagevity™ Healthy Body Start Pak™2.0 includes: (1) Healthy Body Start Pak™ 2.0 (1) Y-DR8+™ Bottle w/ Top & Filter (1) Y-DR8+™ Filters – 4 pack (1) Aqaugevity™ Energy+ Tablets – 30 ct.